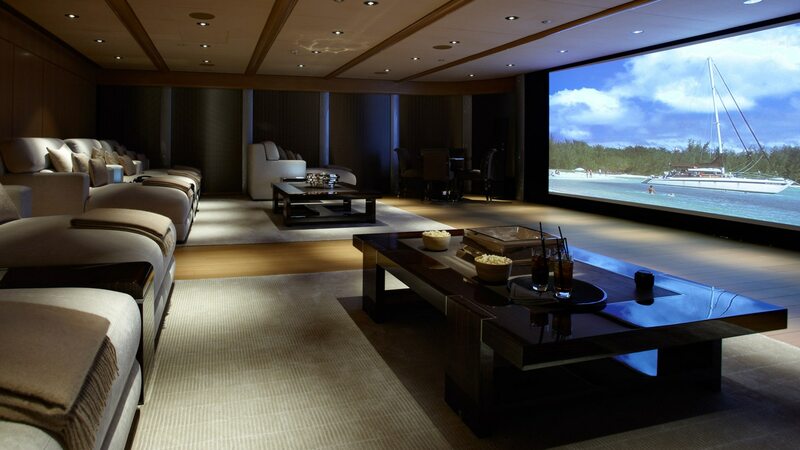 Anthem is a Canadian brand manufacturing award-winning high-end audio/video equipment for music and home theater. Anthem products allow you to virtually 'be there' every time you listen to a favorite piece of recorded music or experience the excitement of surround-sound home theater. Their reputation in analog and digital design is legendary and their products continue to receive industry awards and acclaim in the finest magazines. Around the world, Anthem is consistently the brand of choice for leaders in the field of music and entertainment. Anthem AVR 7 channels driven which can be expanded upto 11 channels using pre-amps and gives you surround sound experience which is second to none. Anthem’s award-winning Third Generation MRX Series of high-end multi-channel A/V receivers are known the world over for their excellent sound quality, efficient power handling, and the ease with which they integrate into an entertainment system. The MRX Series is packed with exclusive audio innovations like Anthem Room Correction (ARC) Technology and Advanced Load Monitoring (ALM) Technology, 4K Pass-Through with fast HDMI switching and more. ARC - Anthem Room Correction quickly “corrects” the effects that reflective surfaces such as walls, floors and ceilings have on the sound radiating from a loudspeaker. Removing the effects of these obstacles allows your audio equipment to achieve a more natural sound in any room, as close to the lab standard as possible. Playfi - Everyone wants instant access to their digital audio library, anywhere in the home. And Anthem’s MRX Series with DTS Play-Fi® technology is the perfect, high performance means of delivery. Anthem MRX Series can take full dynamic advantage of the better-than-CD-quality sound quality delivered by the DTS Play-Fi® streaming technology. Check out the Anthem gear exclusively at Auditro.